Did you know the biggest and strongest muscle in your body is the gluteus maximus? The glutes, as they are commonly known, contain three muscles located at the back of each hip or buttocks. The glutes play a fundamental role in walking, lower back support, and knee safety. Apart from all these physical benefits of having strong healthy glutes, you can also create a stable yoga practice that can help with good posture and injury prevention. As much as the backside isn’t spoken about much during class, not engaging your glutes can actually lead to injury. 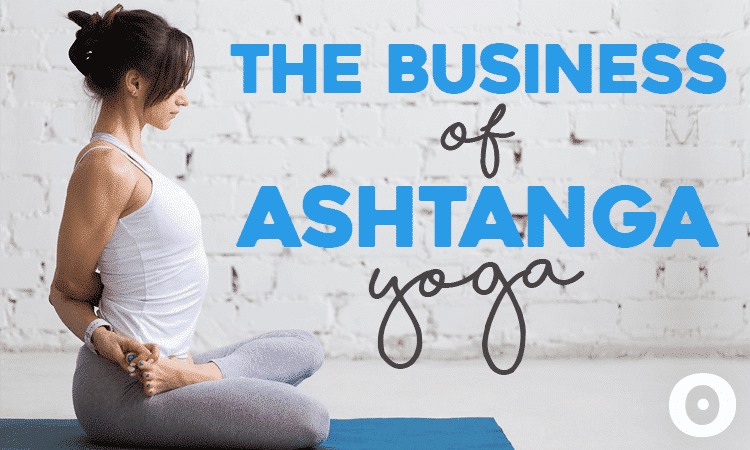 When asanas are done correctly, they can help strengthen, lift, and tone the glutes. Thanks to these six poses you can sculpt your backside and improve your overall wellness in no time. This pose is used to strengthen the lower region of the body all while creating length and space in the upper body. Start with your legs together as if you were to squeezing every inside part of the legs from the inner ankles, calves, knees, and inner thighs, all the way up to the pelvis. Lean toward the heels and keep the balls of your feet grounded. Sit as far down as you can, engaging the glutes as support for the upper body. Extend your torso and arms upward while rooting the base of your body downward. Create stability through your legs, engaging the glutes. Lifting and creating a solid support system to lift the upper body, extending the spine longer and giving freedom to the breath. Modification: Half Chair pose (Ardha Utakatasana) — Drop the torso so that the thighs and chest are parallel to the ground, reach the arms forward to maintain the length of the pose and keep the energy rising from the mula bandha region up the spine and out through the crown of the head. Go deeper: Lift up onto the tips of your toes and pulse. This is a variation of the original pose to help strengthen the muscles as well as promote lymphatic drainage. This pose stretches your hips, groin, and chest. It also strengthens and tones your core muscles, quadriceps, and inner thighs. Stand with legs wide and toes facing outward. Extend the arms into a “T” and align your ankles and wrists as much as possible. Bend the knees to get the torso as low as possible without putting too much strain on the knees. If you can, keep your thighs parallel to the floor and your knees over your ankles to prevent from dropping inward. Once you feel rooted in the pose, extend and bend the legs squeezing the glutes at the top. Keep your awareness at the navel where the third chakra or manipura resides. Use manipura’s energy to give strength to every feeling like you are moving from the center. This pose not only strengthens your backside, but it also creates stability in the legs and helps to open the thoracic spine. Laying on your back, use a block and place it in between your inner thighs. Roll the shoulders underneath your body to create a solid support and open your chest. Lift your hips while squeezing the block and your glutes for 10 breaths. This pose creates stability and length in the legs as well as the arms. This Virabhadra was a recognized warrior and an incarnation of Lord Shiva. Place your feet far enough apart, so your front knee is over your ankle and the front thigh is parallel to the floor. Inhale and contract into the midline as if you were trying to wrinkle your mat. On the exhale, push your legs away from each other as if you were trying to stretch out your mat. Squeeze the glutes and draw the tailbone down to find greater length in the spine while improving your posture. This balancing pose is perfect for the glutes as the back leg lifts and engages. It provides an isometric contraction of the standing leg and works the vestibular system of the brain for better overall balance. Stand on one leg and as you lift the back leg, move the torso down. Keep an imaginary line from the crown of the head throughout the entire spine all the way to the back foot. Make sure your standing leg stays firm and straight while it pushes into the earth in order to create lift from the hip joint. Use the back leg to balance and keep the toes dialed down toward the earth for an internal rotation of the thigh. You can also imagine the inner thigh spinning up to the sky. Squeeze the glutes to take the back leg slightly higher. A pose revered for strengthening the buttocks, legs, and lower back. It also relieves lower back and digestive issues. Lie flat on your belly. Lift your torso, head, and legs up. Squeeze the shoulder blades into the middle for a chest opener. Arms can be by your side, interlaced behind the back or head, or bent 90 degrees by your chest. Press the pelvis down and lift the navel up to secure your lower back. If neck pain is present, look down or support the head with a blanket or a block. Hold the pose for at least 10 breaths and do three repetitions. All these poses are designed to strengthen your glutes, improve your posture, and make you feel stronger. Don’t forget to stretch the muscles to relieve any contractions you may have. If you want to take this sequence a step further, try practicing with weights that are appropriate for your level of practice. This playlist for your full vinyasa flow is packed with songs to bring you back to the days of lava lamps and teen spirit.